If your community or sector organisation would like to express its support for NetHui 2011 on this page, then please contact us. NZCID is an authority at the forefront of infrastructure development issue, promoting best practice in national infrastructure development through research, advocacy and public and private sector collaboration. Members come from diverse sectors across New Zealand, equity owners, service providers, public sector agencies, and major infrastructure users. “High speed connectivity through broadband will transform future provision of infrastructure in ways we do not yet fully comprehend. Realising the potential of this opportunity is the challenge before us and all NetHui participants,” Stephen Selwood, Chief Executive NZCID. The NZICT Group is an industry association made up of over 100 leading New Zealand technology companies. It was founded to provide a unified voice to address issues facing the industry as a whole. “Now that we have commitment for UFB rollout, the next step is creating and deploying innovation policies to maximise the benefits of broadband development. Increasing domestic demand for online services and exporting high value-add technologies is critical. NetHui2012 will be ‘the place’ to debate the next steps for our online future,” Candace Kinser, CEO of NZICT. The New Zealand Institute is a privately funded think-tank committed to generating ideas, solutions and debate that will improve economic prosperity, social well-being, environmental quality and environmental productivity. “The Internet is fundamentally changing how information is created, organised and shared. It enables instant distribution of learning tools to anyone, anywhere. Developing knowledge and skills is core to establishing a capable population that works together to create a thriving society, economy and environment. Forums such as NetHui provide an important platform to discuss the opportunities New Zealand has for using the Internet and e-learning as tools to unlock potential from the population,” Lillian Grace, New Zealand Institute. Creative Commons provides a range of copyright licences, freely available to the public, which allow those creating intellectual property – including authors, artists, educators and scientists – to mark their work with the freedoms they want it to carry. “The NetHui conference struck the right balance between a structured event and a flexible and open conversation. This is where the best debates can bubble to the surface. Like the net itself there was low bar to meaningful participation – this blows apart traditional hierarchies and opens up dialogue between the most recognised speakers and Kiwis working on the ground. In 2012, the grail will be to engage the many whose lives and careers will be affected by the future state of the net, but who do not yet think their voices can change the world,” Jane Hornibrook, Public Lead, Creative Commons. The 2020 Communications Trust focuses on empowering people to use ICT as a pathway to engage more fully in the communities, their countries and in today’s global village. The ongoing aim of the Trust is to promote dialogue and understanding through local action. “NetHui 2011 was a unique experience – an extended discussion, over three days, between diverse communities of impassioned people involved with internet issues in New Zealand. 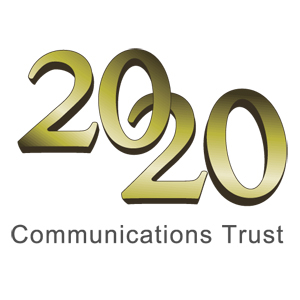 2020 Communications Trust was proud to be a supporter of the inaugural event in 2011, and gained real benefit from the new connections that we made with other organisations and individuals involved in digital communities. Our vision is that New Zealand citizens fully participate in a digital world, and provide leadership and work with communities to deliver programs that contribute to New Zealanders’ digital literacy, skills and inclusion. NetHui 2012 will be another excellent opportunity to progress the digital discussion which is so critical to our economic and social future,” Laurence Millar, Chair, 2020 Communications Trust. NetSafe is New Zealand’s cybersafety organisation It aims to provide cyber safety, security and citizenry information for all of New Zealand by providing a range of tools to help keep you safer online. “I’m looking forward to the NetHui. It’s a real step forward for New Zealand. 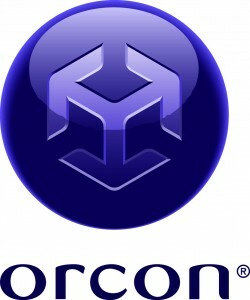 The discussions will enable people to talk openly, develop partnerships and exchange information in ways that otherwise might not happen,” Martin Cocker, Executive Director, NetSafe. REANNZ (Research and Education Advanced Network New Zealand Ltd) is the Crown-owned company that owns and operates a high-speed, unrestricted broadband network for the New Zealand education, research and innovation communities – KAREN. “REANNZ is right in behind NetHui 2011. This event is a fantastic opportunity to bring together all those involved in the wide world of the Internet in New Zealand – from Internet research, development and policy to content creation, and play,” Donald Clark, REANNZ CEO and InternetNZ Councillor. CORE Education is a not-for-profit organisation that works with governments and educators, to provide effective research, consultancy, professional development, online management, and education events. “At this critical time in the development of a national ICT infrastructure, the NetHui provides an ideal opportunity for representatives from across the sector groups to share experiences and contribute to the conversations moving forward,” Derek Wenmoth, CORE Education. The New Zealand Computer Society is New Zealand’s body for ICT Professionals and those interested in computers and technology, has been working to advance education and professionalism in ICT for the last 50 years. “NZCS is excited about NetHui 2011 and strongly supports the event as a great way to bring together the Internet-related communities to discuss, plan, strategise, and collaborate. We’re looking forward to participating and strongly recommend others with an interest in all things Internet get involved and help make this a huge success,” Paul Matthews, Chief Executive, New Zealand Computer Society. Consumer NZ is an independent, non-profit organisation that aims to get New Zealand consumers a fairer deal. Consumer’s work covers a wide range of activities relating to consumer protection and information. “The Internet has completely changed the way we conduct our lives – from buying and selling, and doing our banking, to instantly keeping up with the world and our friends. For Consumer NZ it is the most important way we talk to our members and supporters. And like many businesses it’s where our staff spend much of their working day. The Internet has brought huge social and economic benefits. NetHui 2011 will be a chance to discuss those and importantly the responsibilities that go with those benefits,” Sue Chetwin, Chief Executive, Consumer NZ. The Association of Local Government Information Management (ALGIM) represents the national and international interests of the information, communication and technology (ICT) sector within New Zealand’s city, district and regional councils. We provide best practice in the local government ICT sector by enhancing professional development through scholarships, training, events, awards and networking, and offer leadership through toolkits, advocacy, research and shared services. Rural Women New Zealand is a charitable, membership-based organisation which supports people in rural communities through learning opportunities, advocacy and social connections. Our members are diverse, but all of us share rural interests that connect and energise us. We are the leading representative body promoting and advocating on rural health, education, land and social issues. We have groups throughout New Zealand. Some groups meet for networking and friendship, often supporting their local communities through events or fundraising. Others are focused on education and learning, and facilitate training days and workshops. The New Zealand Health IT Cluster is a vibrant alliance of organisations interested in health IT, comprising software and solution developers, consultants, health policy makers, health funders, infrastructure companies, healthcare providers, and academic institutions – who have agreed to work collaboratively. The New Zealand Health IT industry vision is for New Zealand to be a recognised leader in eHealth research and development, and solution implementation. The mission of the Health IT Cluster is to have New Zealand IT solutions that enable more efficient and effective delivery of healthcare and which contribute to the growth of our economy. The broad role of Ng? P? Waea is ‘to assist in ensuring M?ori communities can be connected in a timely and efficient manner, and are able to maximise opportunities arising from the deployment of broadband’. The terms of reference also provides that Ng? P? Waea will: work with a range of stakeholders; liaise with, and provide information, to M?ori communities; and will provide advice to Ministers on M?ori interests in rural and urban broadband development on a regular basis. “There are many opportunities to leverage the governments investment in UFB and RBI. These are born of our collective ideas (mahinga tahi) and Ng? P? Waea considers Nethui an ideal place to build the relationships from which these opportunities spring.” Anthony Royal, Chair.